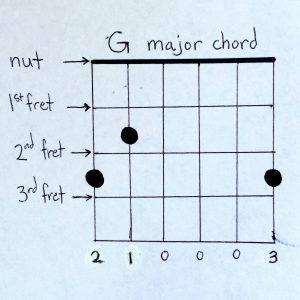 Welcome to Part One of Your First Song, a four-part series made especially for beginner guitarists. If you want to learn to play a song but you’re feeling a little intimidated, have no fear: learning a song can actually be very easy. 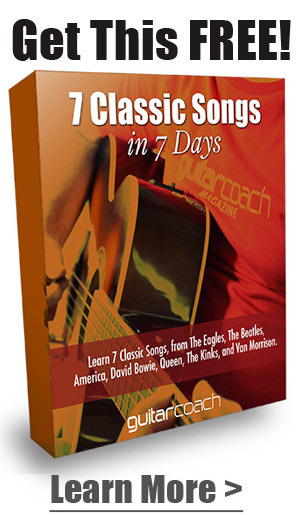 Just follow the simple instructions from each of the four parts in this series – on chords, strumming, transitions, and singing – and you’ll be playing in no time. 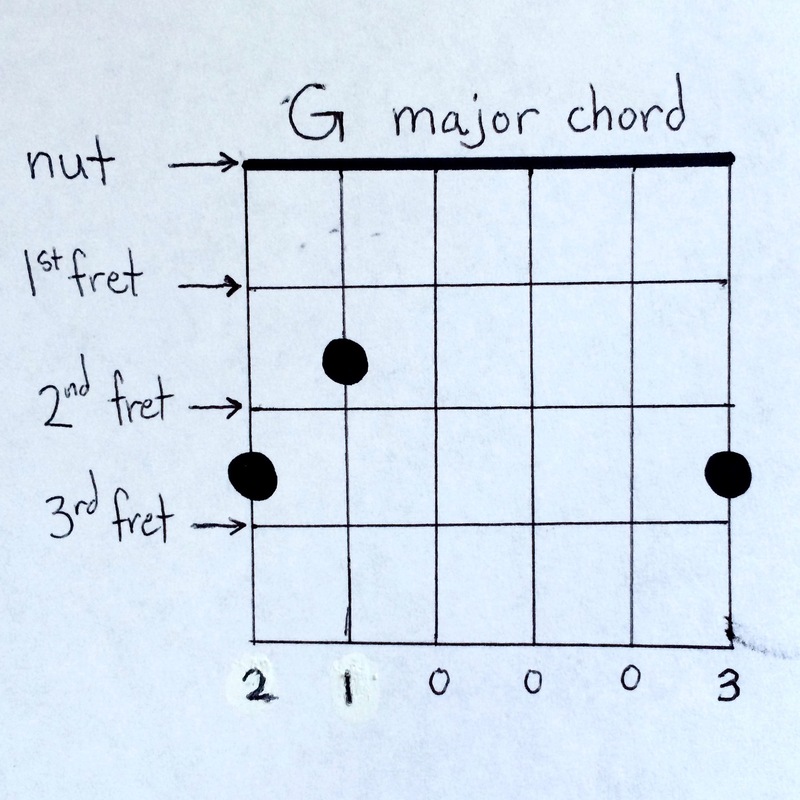 To start, let’s learn a few easy guitar chords. 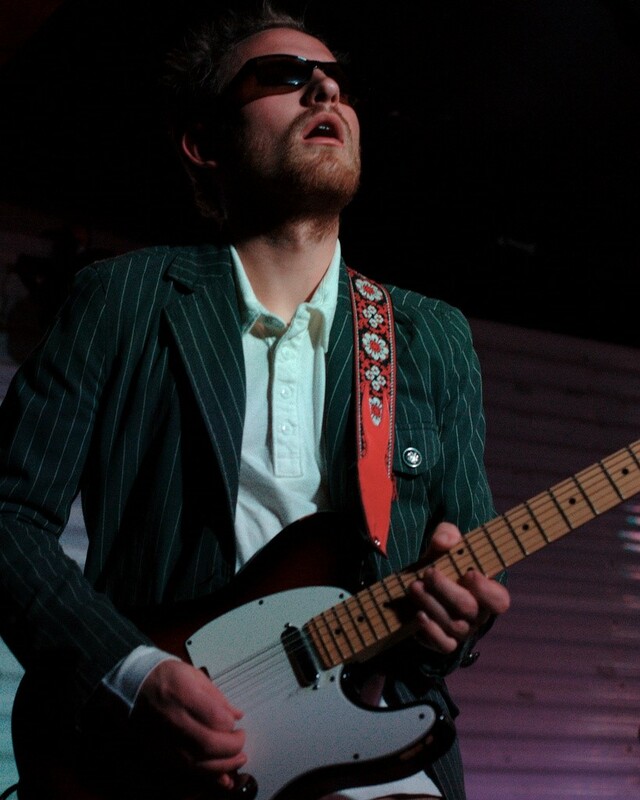 In the guitar world, ‘three-chord songs’ is a phrase that’s passed around a lot. That’s because there’s a lot of them. 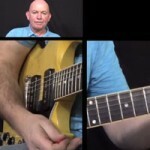 From Bob Dylan’s ‘Like a Rolling Stone’ to AC/DC’s ‘You Shook Me All Night Long’ to practically every blues song ever written, there are almost too many three-chord songs to count! 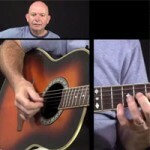 (For an awesome video showing thirty more of these three-chord songs on guitar, click here). Lucky for us, this makes learning a song just that much easier. 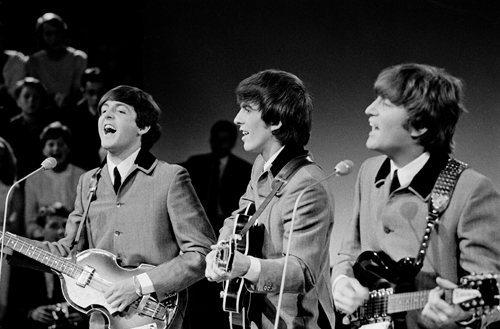 For this series, we’re going to choose The Beatles’ version of ‘Twist and Shout’, one of the true rock anthems of our time. It’s a great tune, it’s fun to play, and most importantly it’s incredibly easy to learn. 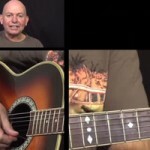 ‘Twist and Shout’ uses the chords G, A, and D – all great guitar chords for beginners. 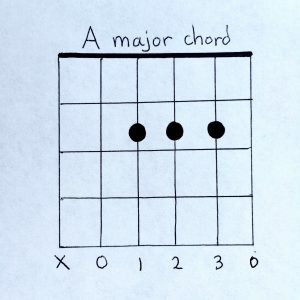 There are different ways of playing these chords. For this series we’re going to learn them in the standard chord position, which is the most common way to play them. 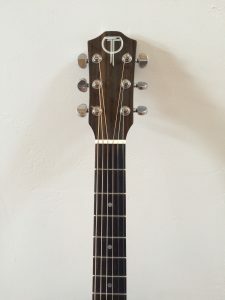 Most music uses staff notation, but for guitars we generally use chord diagrams, which are mini diagrams of the fretboard that show finger placement, and tabs. (For a quick guide on the different parts of a guitar, click here). 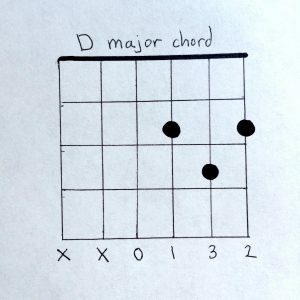 Both tabs and chord diagrams are easy to learn. 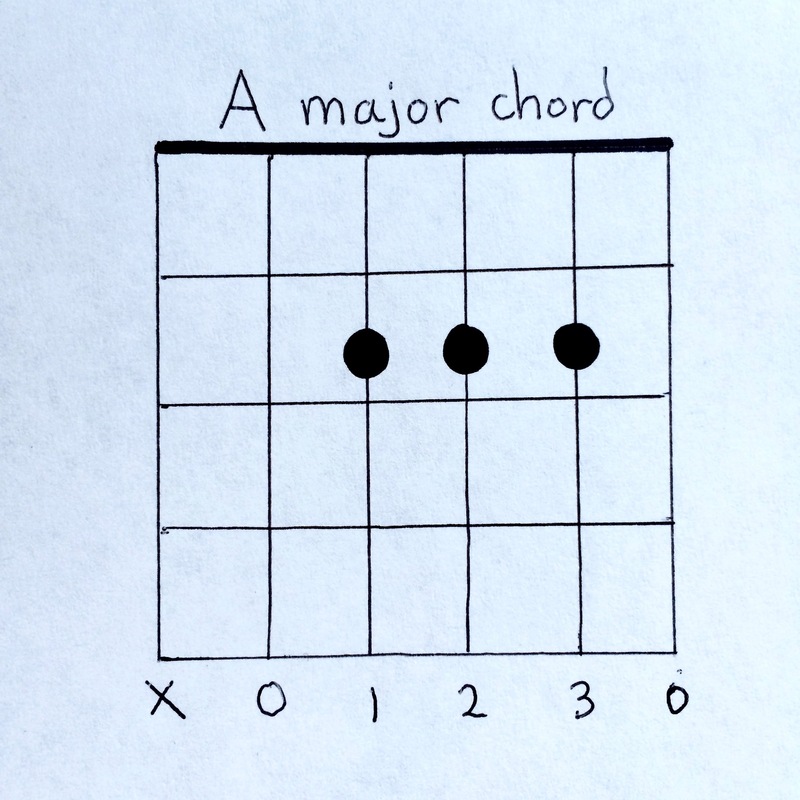 For now, we’ll start with chord diagrams for each of our three chords: G, A, and D.
Reading the chord diagram above is quite easy – after all, it’s just a visual representation of the fretboard. To understand one, set your guitar against a wall with the strings facing you, as in the picture below. Set your guitar against the wall. 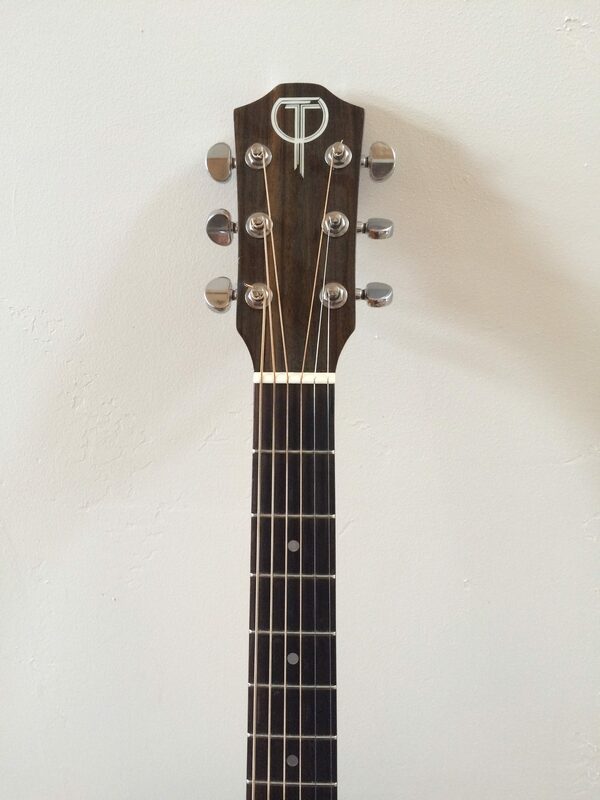 6 vertical lines on the tab grid = 6 guitar strings. Each horizontal line on the tab is a fret. Each circle marks where to put a finger. The numbers below stand for which finger to use. 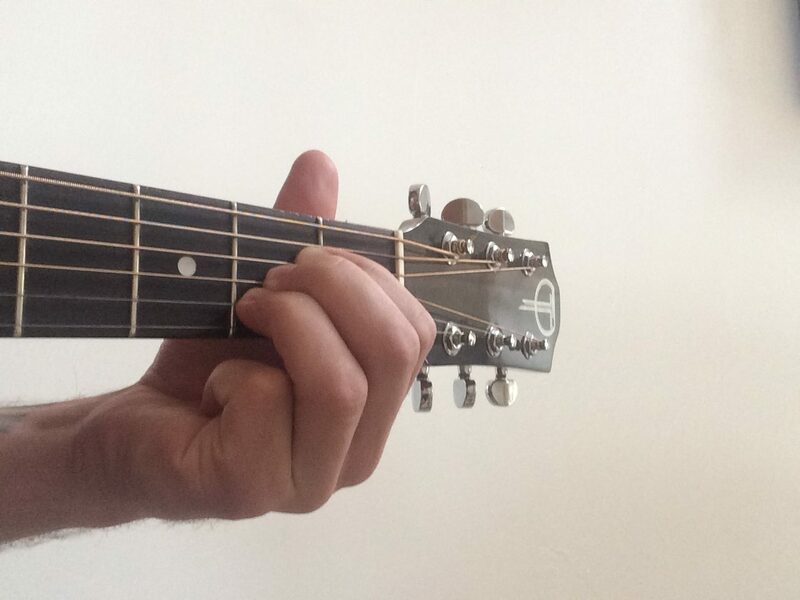 Now see if you can put your fingers down in the right places to make a G chord. The picture below shows what it should look like. Give it a good strum. Congratulations, you just played your first guitar chord! 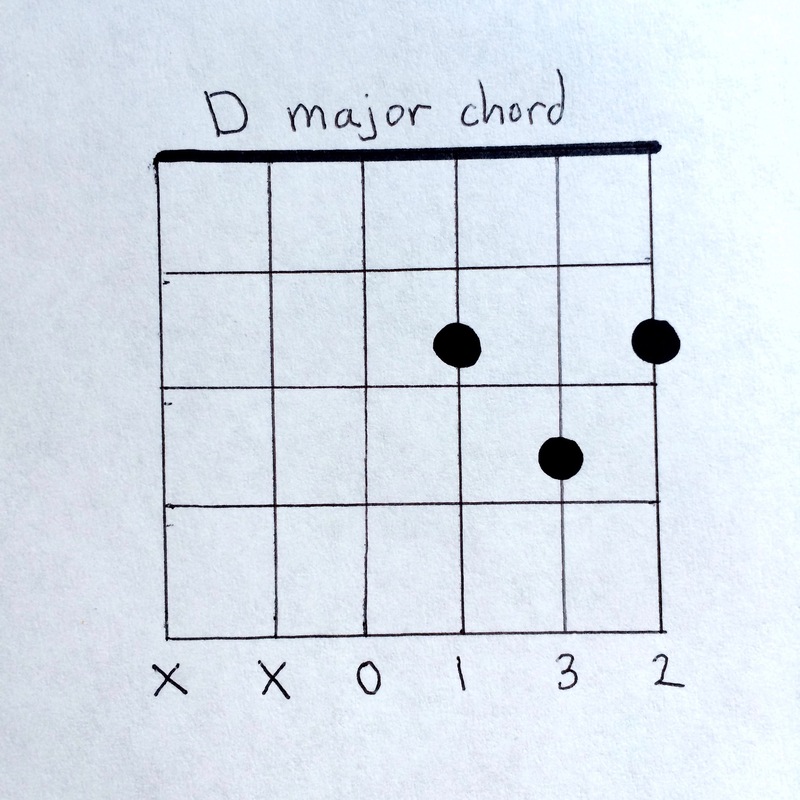 Now see if you can do it with the other two chords, A major and D major. Be patient with yourself. 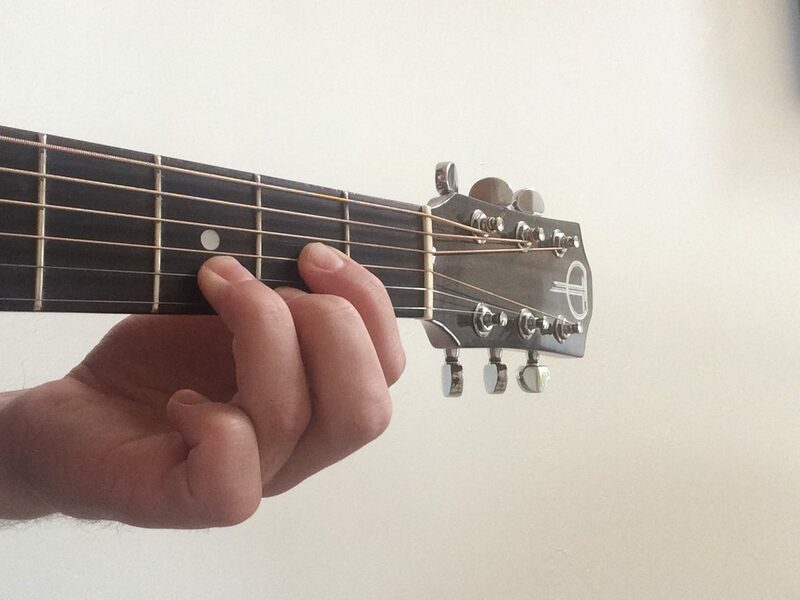 It’s tricky at first to get your fingers to stay in position and keep holding down each string. It can be a little painful, too – that’s just because your fingers aren’t used to it. In time this pain will lessen as you play more. When you put a finger down on the fretboard, be sure to place it just to the left of the fret so that the fret and the string can make good contact with each other (though this may be tricky with the A major chord). This contact is what produces a clear-sounding note. When making these chords, your fingers may accidentally press down on strings they don’t mean to, leading to unwanted notes or muted strings. That’s OK. Down the road you’ll want to avoid this, but for now don’t fret over it (haha get it?). Be patient with yourself. 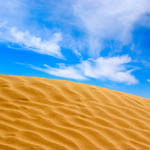 Time and persistence are your best allies. Go slow, keep practicing each chord, and remember that with each successive strum you’re getting better! (For now, don’t worry about chord transitions – we’ll cover that in Part Three of this series). 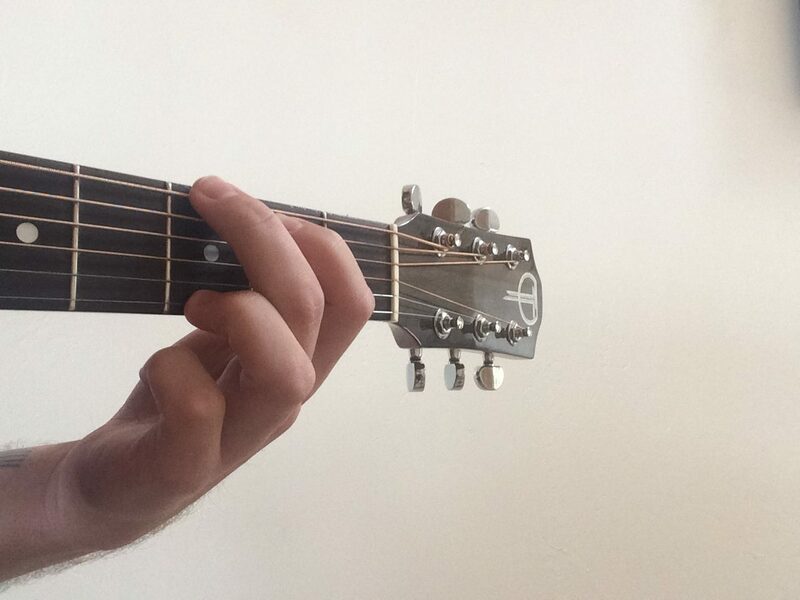 And there you have it – a few easy guitar chords for you beginners. Keep practicing those chords and you’ll be playing ‘Twist and Shout’ in no time! Having trouble with strumming or getting the notes to ring out clearly? Help’s on the way! Read Part Two: How to Strum a Guitar for more tips on playing easy guitar chords and links to other articles in this series. It is an agnormal reaction orr increased Sensitivity to specific substance. complicated and uncomfortable over these situations. of masses suffering from celiac disease are afflicted by migraine as well. manual rather than simply skimming over tthe basics thrtough the Quick Start Guide, if you wish to develop beyond a novice. 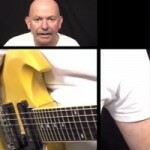 This is really easy for beginners want to learn guitar and become an expert in guitar you need to have a fashion. That’s the best thing.